Apple’s forthcoming reboot of Steven Spielberg’s 1980s anthology series Amazing Stories has lost its showrunner. 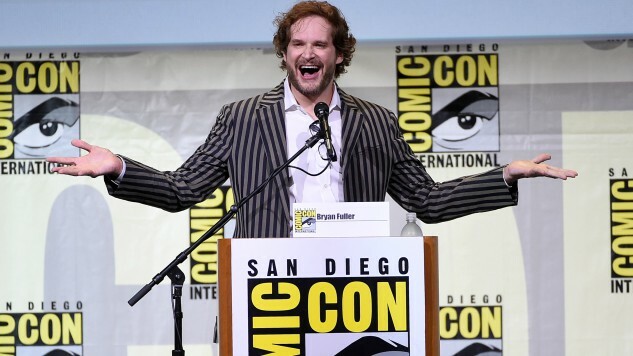 Bryan Fuller has stepped down over “creative differences” along with the show’s executive producer Hart Hanson, per Deadline. It’s confirmed that Fuller had not even delivered a script to Apple before making his departure. Fuller is best known for creating the hit series Hannibal starring Mads Mikkelsen and Hugh Dancy, and the current Starz series American Gods. He also wrote and produced several episodes of Heroes starring Milo Ventimiglia, who will star in the forthcoming adaptation of The Art of Racing in the Rain. Fuller recently exited American Gods before shooting the second season after his higher budget demands were not met. Before that, he departed Star Trek: Discovery while it was still in pre-production. Amazing Stories marks the third consecutive series that Fuller has unexpectedly departed—this is starting to look like a trend for him. As far as we’re aware, Fuller has no other projects in the pipeline. Amazing Stories plans to “transport the audience to worlds of wonder through the lens of today’s most imaginative filmmakers, directors and writers,” taking a spin off of Spielberg’s original. The show had been ordered by Apple for ten episodes. The original series aired two seasons and won a total of five Emmys.